My screen does not light up. My screen is Dark. Does the remote beep and light up when you turn the key on? Step 6 Contact your INTEC service rep. They may ask you to return your display as well as the display to controller cable. Step 8 Check your power connection. Is the red wire connected to a post ignition +11 to +32 VDC source of power and is the black wire connected to ground? Contact your INTEC service rep. They may ask you to return your controller for service. Connect and retest. Single camera controller wiring diagram. Multi camera controller wiring diagram. The CVS100 is equipped with two status LED’s relating to power. One for system power and the other for the 1 Amp radar alarm output. These fuses are located under the hinged cover on the top of the controller. The Power LED will be illuminated green when power (+11 to +32 VDC) is applied to the controller. 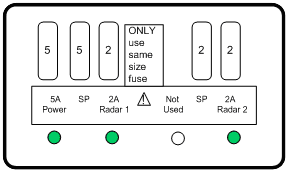 The Power LED will not be illuminated (off) if the 2 Amp power fuse is open or “blown”. 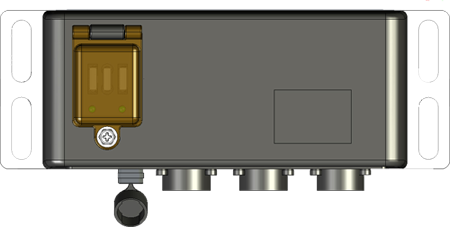 The 2 Amp Radar fuse will be illuminated when power is applied to the controller and off in the event the fuse is blown. There is also a spare 2 Amp fuse. INTEC strongly recommends using only properly rated fuses at all times. In addition the CVS100 is equipped with internal auto reset fuses for camera and display power. These fuses are designed to open in the event of a short in the camera, display, remote or their associated cabling and will reset once that short has been removed. Should one of the internal fuses open the power LED color will change from Green to Red. The CVS500 is equipped with three status LED’s relating to power. 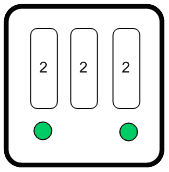 One for system power and the other two are for the 1 Amp radar alarm outputs. These fuses are located under the hinged cover on the top of the controller. The Power LED will be illuminated green when power (+11 to +32 VDC) is applied to the controller. The Power LED will not be illuminated (off) if the 5 Amp power fuse is open or “blown”. 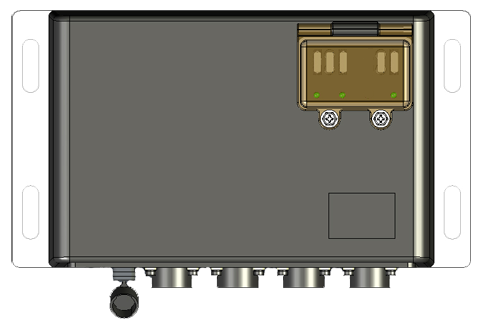 The 2 Amp Radar 1 and Radar 2 fuses will be illuminated when power is applied to the controller and off in the event the fuse(s) are blown. There are also two spare fuses. A 5 Amp spare for power and a 2 Amp spare for the radar outputs. These are marked SP. In addition the CVS500 is equipped with internal auto reset fuses for camera and display power. These fuses are designed to open in the event of a short in the camera, display, remote or their associated cabling and will reset once that short has been removed.